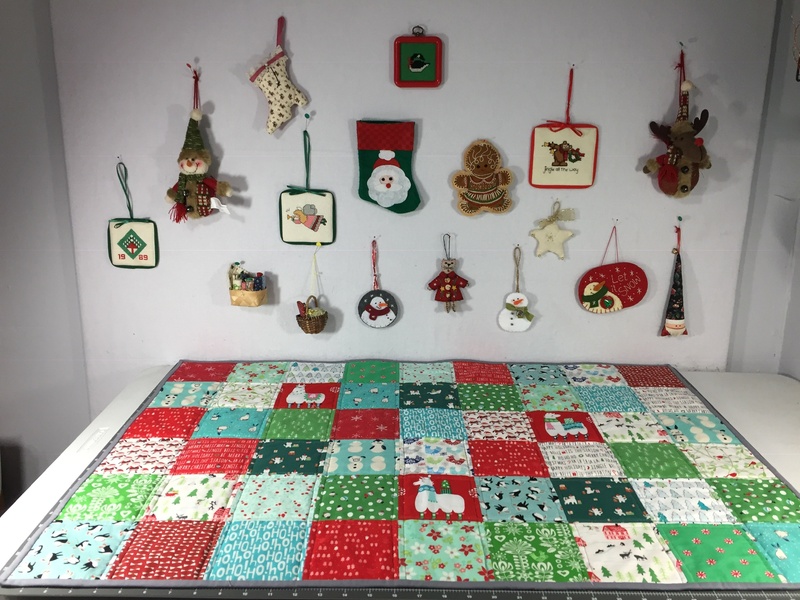 My Nov ‘18 OMG was to sew a simple Christmas patchwork cover for my cutting mat. I was able to get it done early in the month and enjoyed working with all the festive Christmas prints in red, green, and aqua (I’m not sure when aqua became a Christmas color, but I am totally on board!) This quilt actually does not quite cover my cutting mat, but I like the look of the small numbers and markings at the edges. It certainly covers up all the unsightly gashes in my cutting mat (perhaps it’s time for a new one in 2019?). 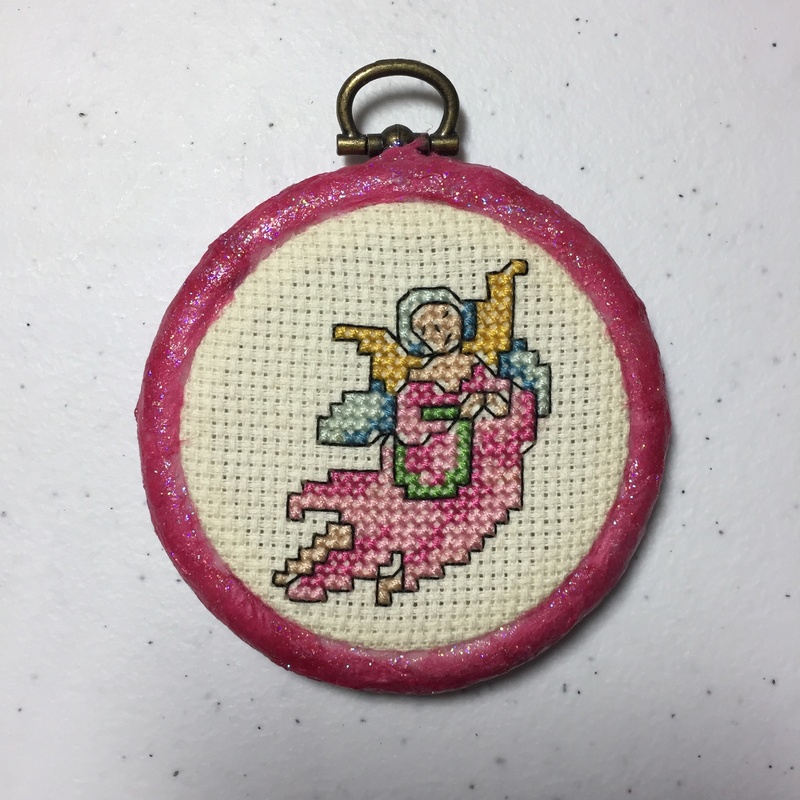 Another favorite ornament is the crossstitch angel I made MANY years ago, probably in my 20s, that I still love to pull out of its protective tissue paper wrapping every Christmas. Do you have some special ornaments that you can’t wait to hang at Christmas? This was one of my 2018 Qtr 4 FAL Goals. Linking up to Elm Street Quilts: Nov ‘18 OMG Finishes. Also linking up to 2018 Qtr 4 FAL Link-Up. This entry was posted in 2018 Quilts and tagged OMG. Bookmark the permalink. Congratulations on your finish! What a great little project to get in the holiday spirit. I love it with your ornaments hanging on the wall. Aqua as a holiday color is great in my book, too! I love the way your space looks with the cover. So fun! 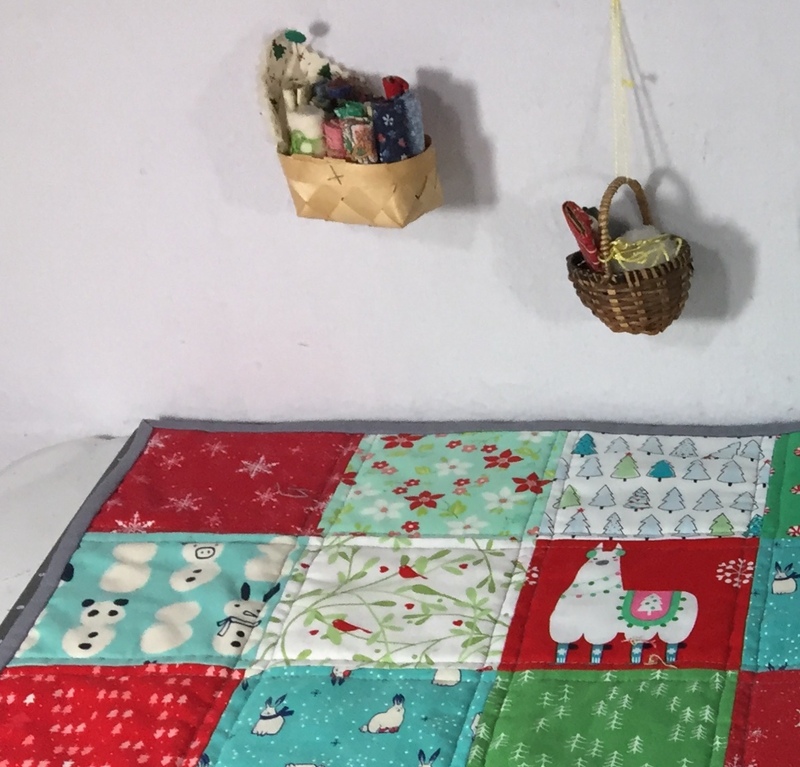 Thanks for linking up with Elm Street Quilts and congrats on your finish! Cute quilt, love those prints! I totally agree with you about aqua – not sure when it became a Christmas color, but I love it! You are inspiring me to get cracking on Christmas sewing. Love aqua and turquoise at any time of year. Love your Christmas mat cover-up idea plus the festive wall.